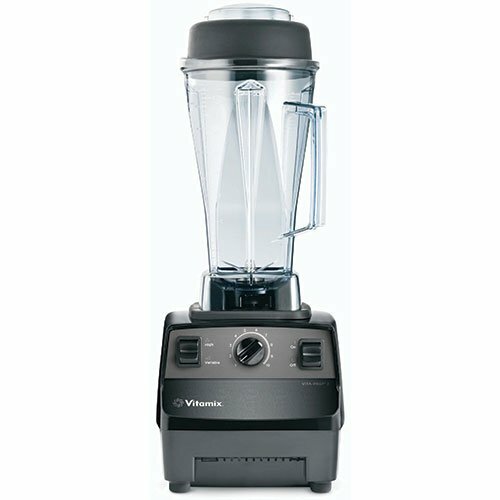 The Vitamix Vita‐Prep 62827 blender is a versatile commercial prep tool that can chop, puree, and grind, The precise speed controls allow you to prepare anything from smooth drinks or sauces to thicker mixtures like salsa. The included accelerator tool lets you push foods towards the blade while the blender is blending to speed up the process. Use with the 1195 64 oz. container, the 15504 48 oz. standard container, and the 15652 32 oz. standard container. All three containers come with blade assembly and lid. Model #: 62827 Start/stop switch automatically returns to neutral position BPA‐free, clear container Includes wet blade assembly, lid, and tamper Black base 2.3 HP motor, 50/60 Hz/1 PH, 11.5 amp 6050596. View More In Cooking Equipment.